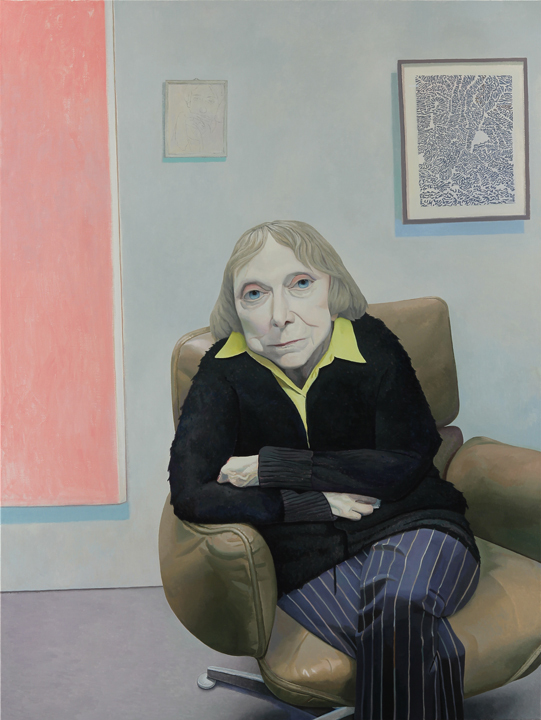 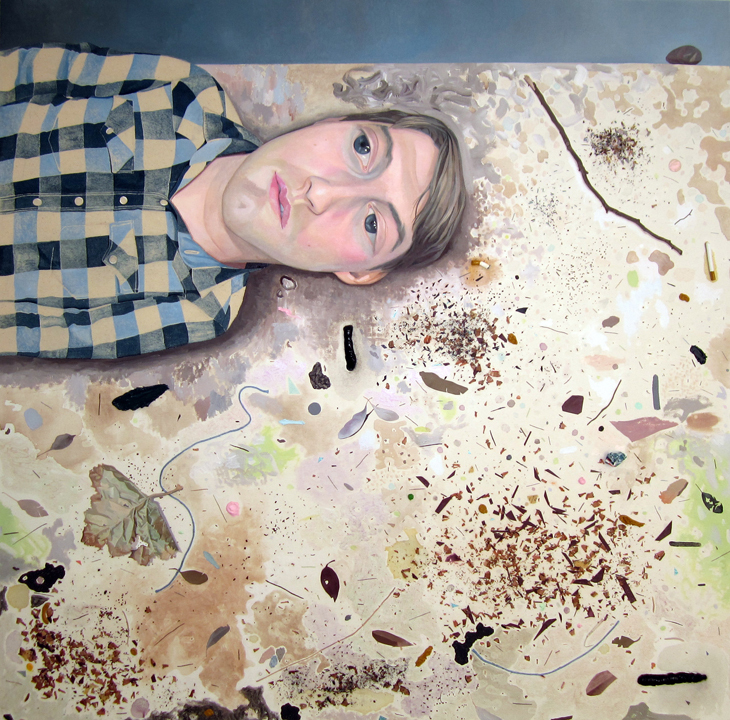 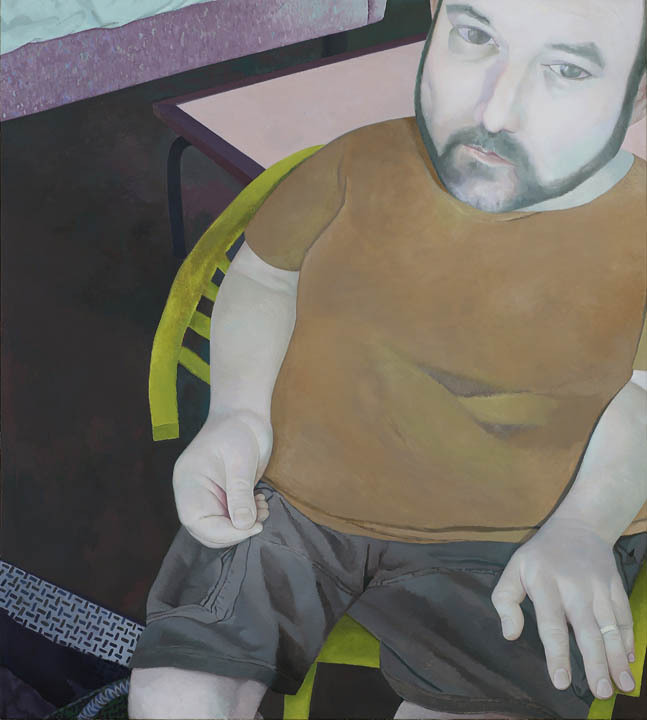 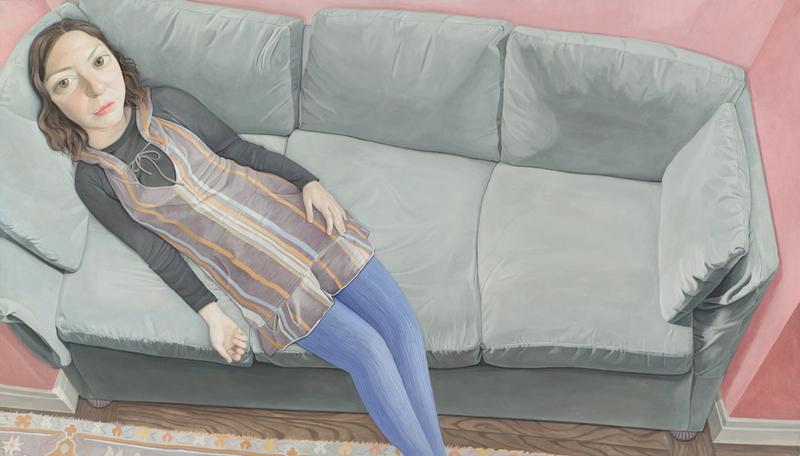 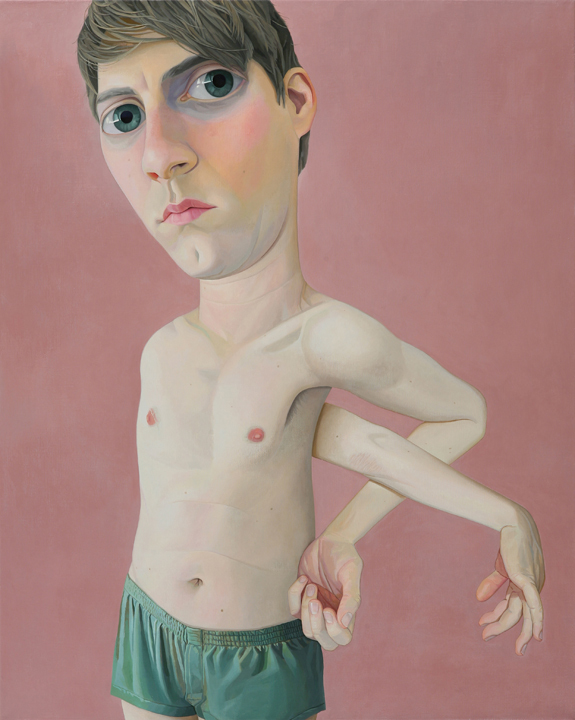 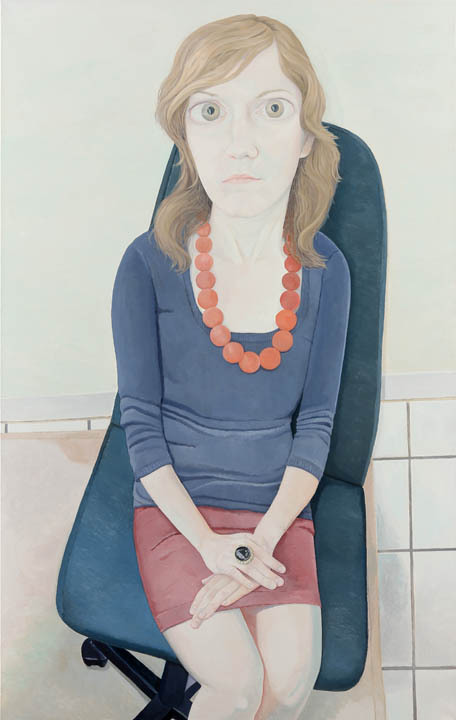 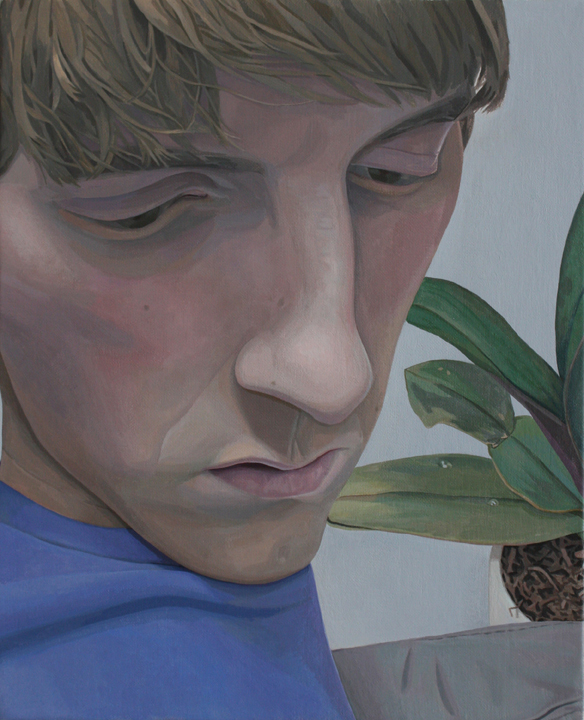 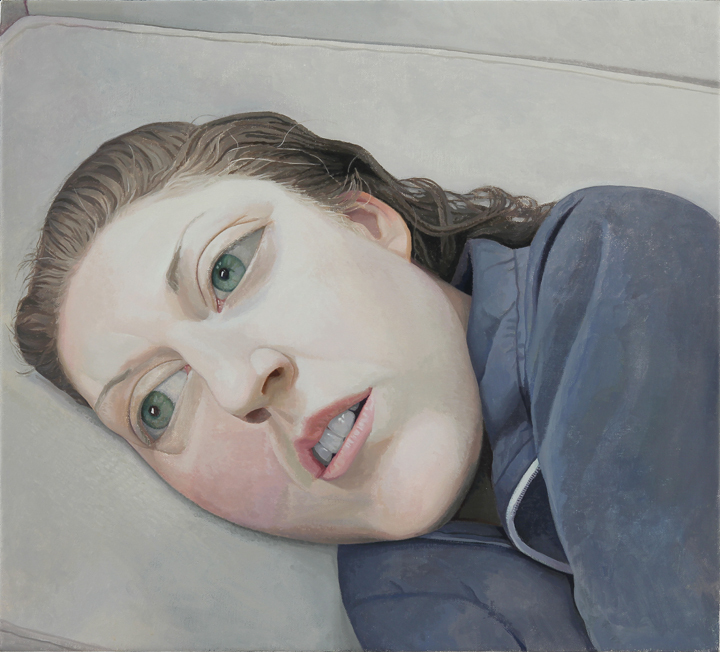 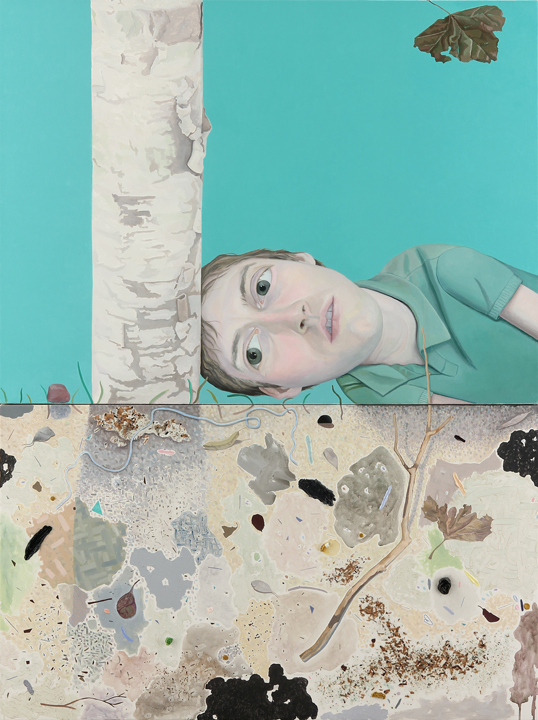 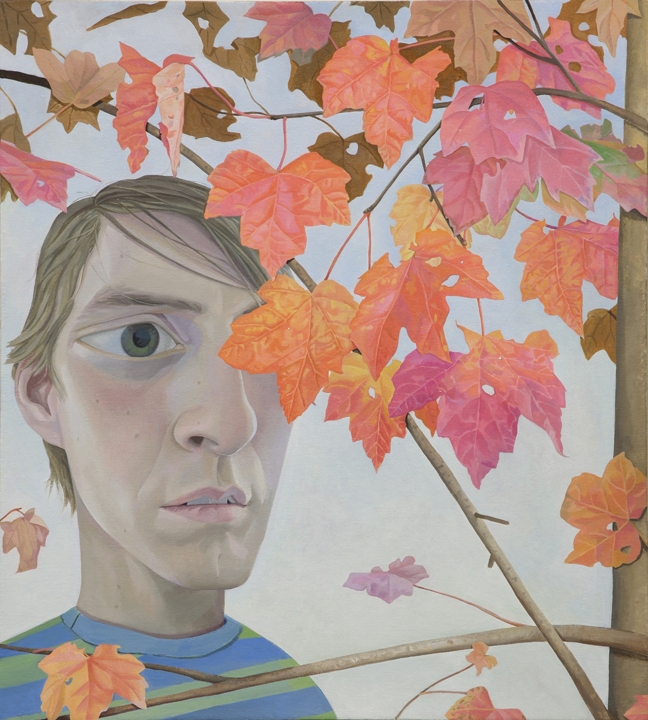 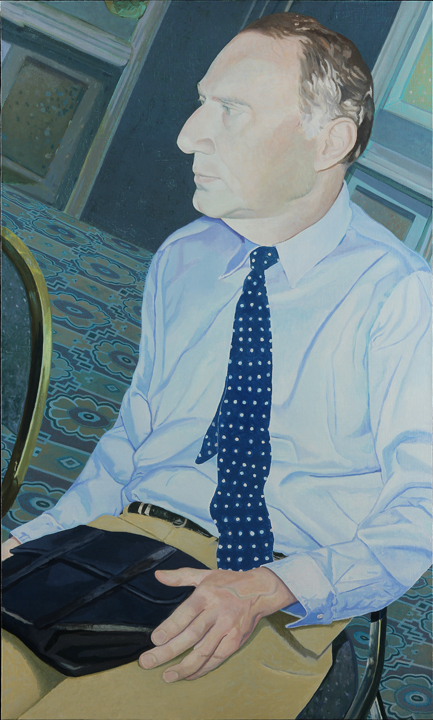 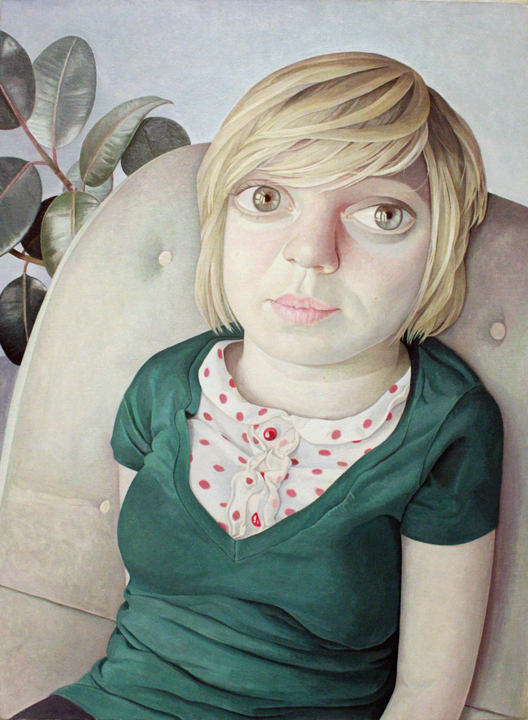 Travis Collinson’s drawings and paintings could best be described as a distorted variation of realism, in which settings and people are portrayed in delicate detail and then slightly exaggerated in perspective or expression. 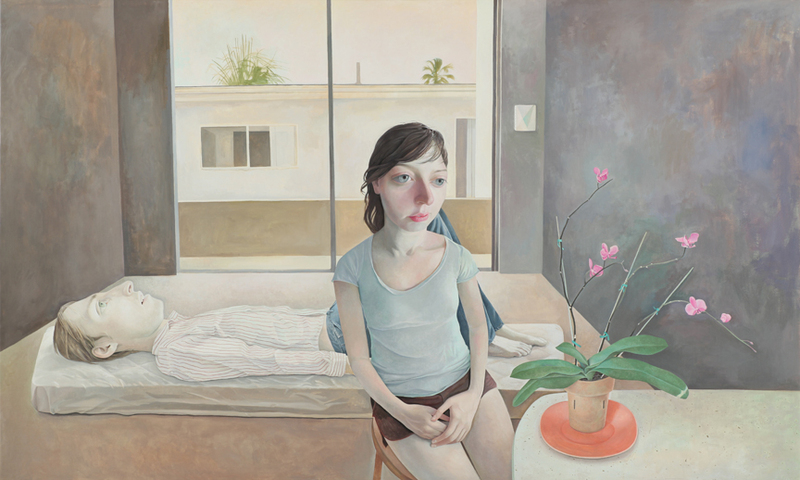 The scenes are usually commonplace or unidentifiably generic, and are the result of a compilation of photographs and automatic drawings that Collinson reinterprets. 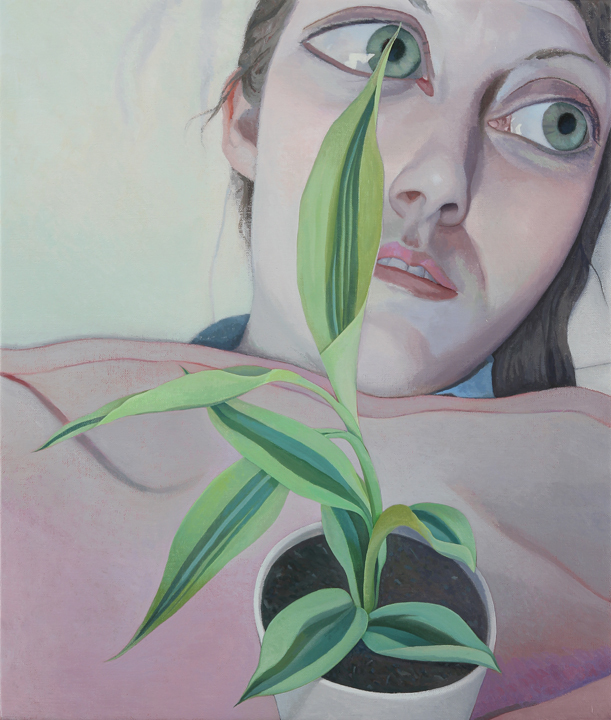 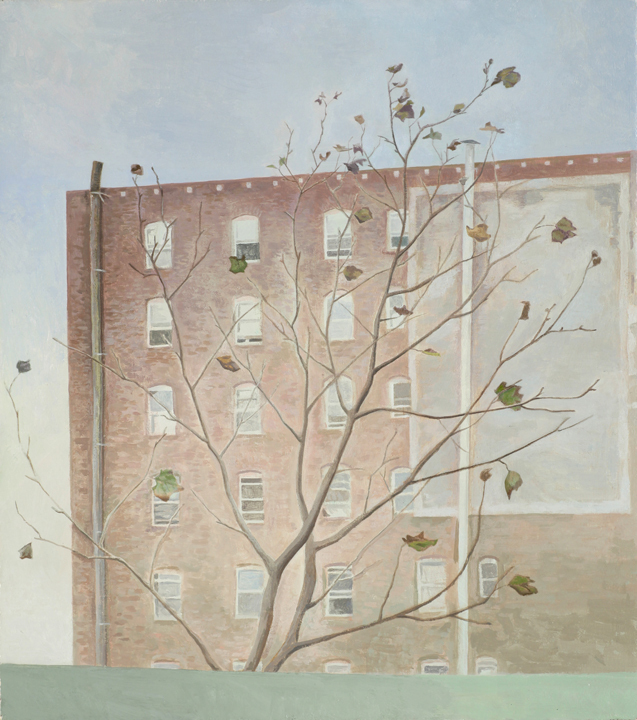 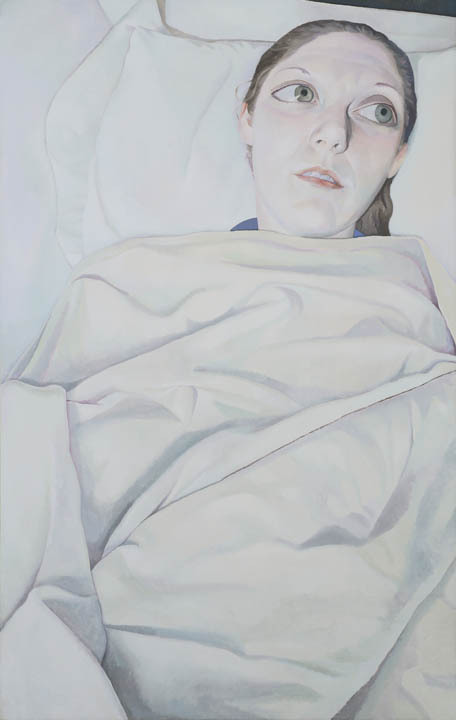 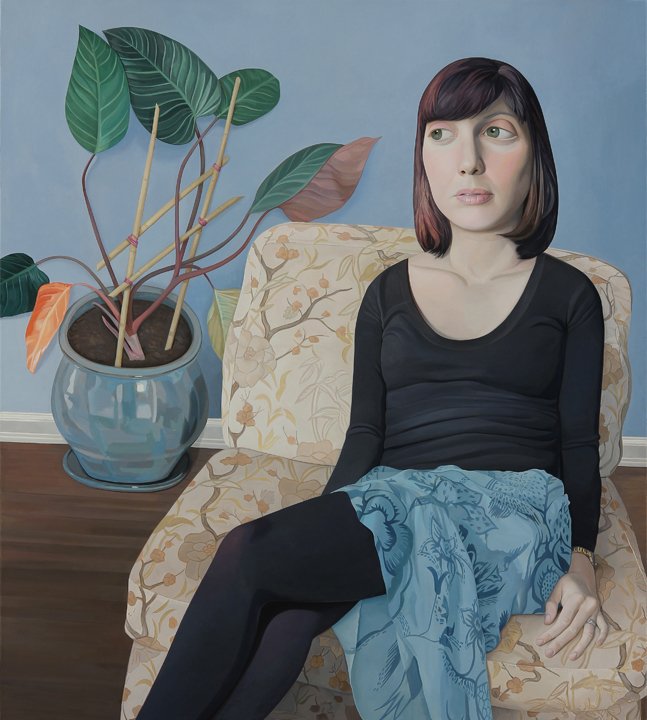 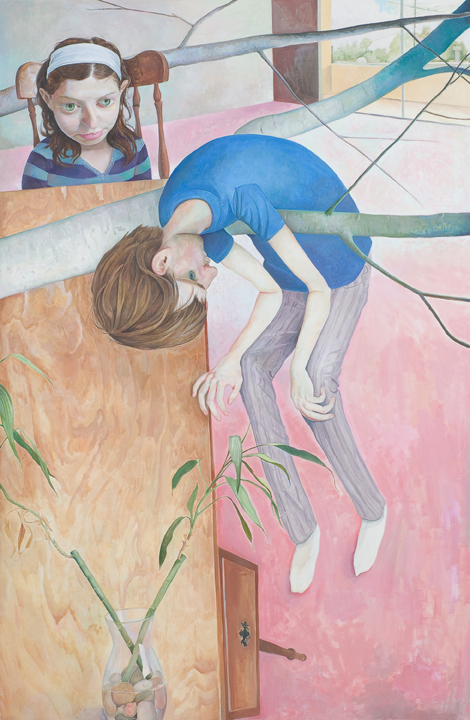 The artist and his sister are frequently models for the introspective and immobile figures, though Collinson also considers the frequently appearing houseplants to be protagonists as well.